If you don’t want that to happen, always apply a hair moisturizing cream before using a flat iron. Then, at least once a week apply the vitamins to the hair to prevent dryness. When applying flat iron, it is often done not in one movement. We recommend that you comb your hair first, use a moisturizing cream, just apply a flat iron with one downward movement, and don’t cut it off. It can form a horizontal line in your hair. Don’t let the hair look like a board because it’s very stiff. For that reason, don’t apply flat iron straight down. Arrange the hair parallel to the face, then when using a flat iron, move your arms in C shape while straightening your hair, and slightly bending in the lower end of the hair. 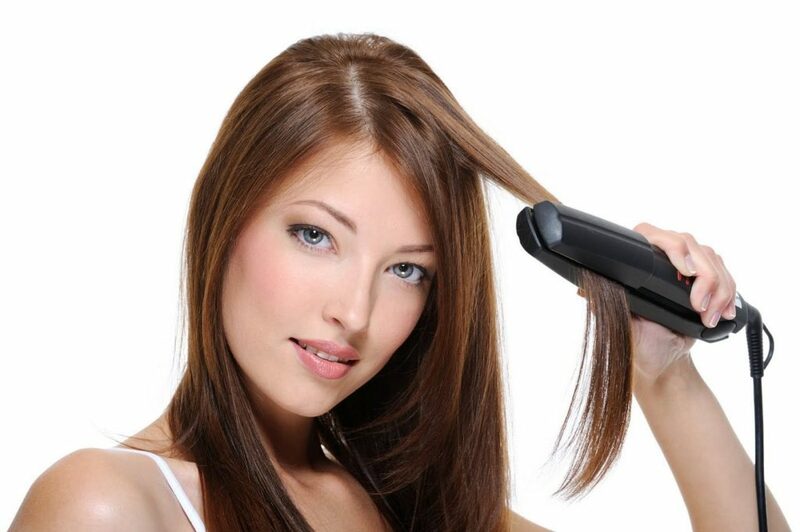 The function of flat iron is to arrange hair and not dry it. If you use it on slightly wet hair, it will look smoke. The smell of hair is like burning and this will be left behind.